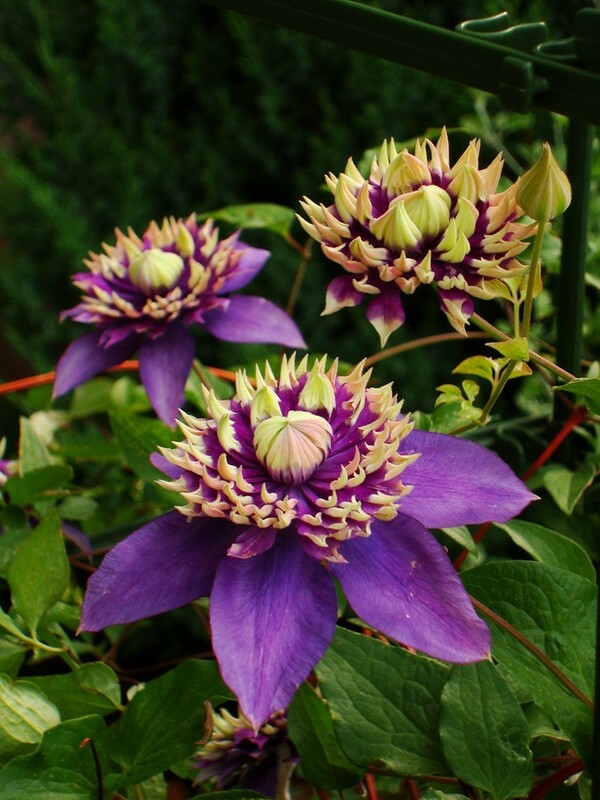 Nominated for the Chelsea Flower Show Plant of the Year Award 2017! 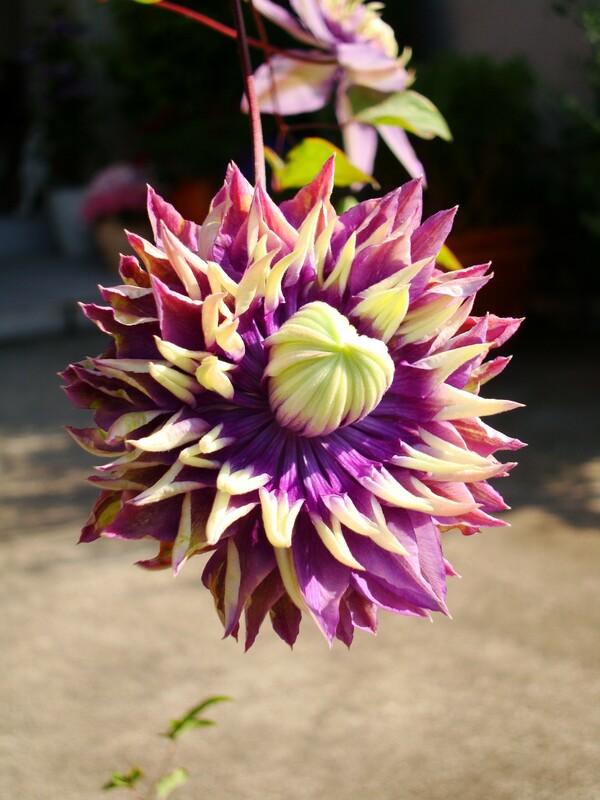 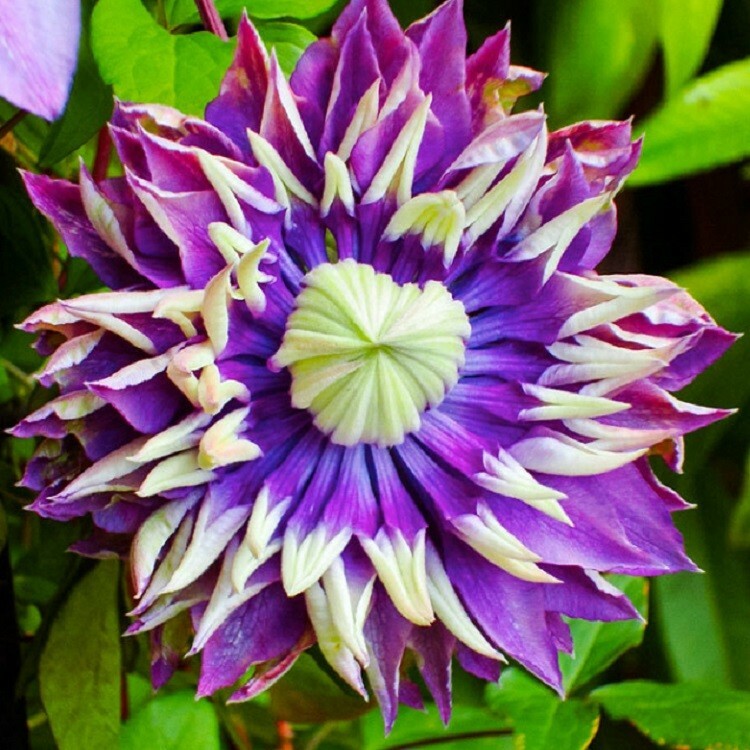 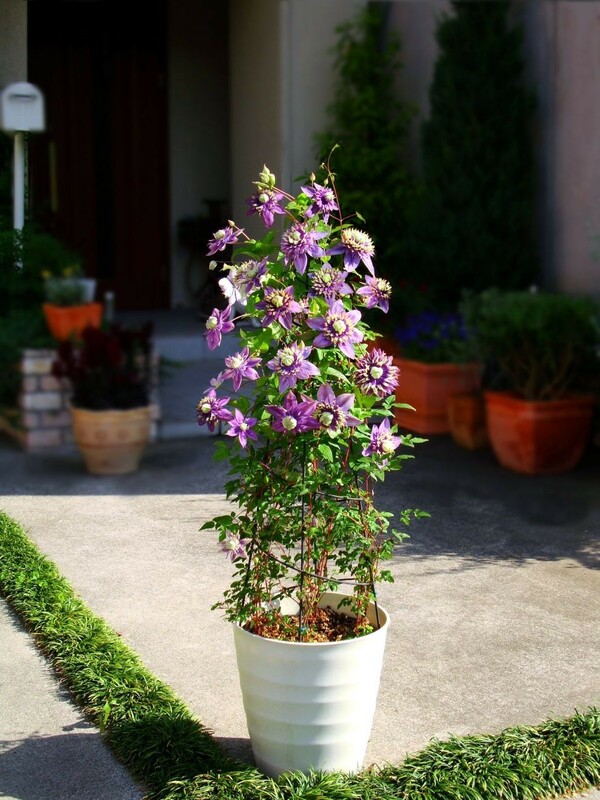 Gardening Express were delighted to exclusively introduce this fantastic brand new Clematis with flowers that look so stunning and exotic you could mistake it for a passion flower! 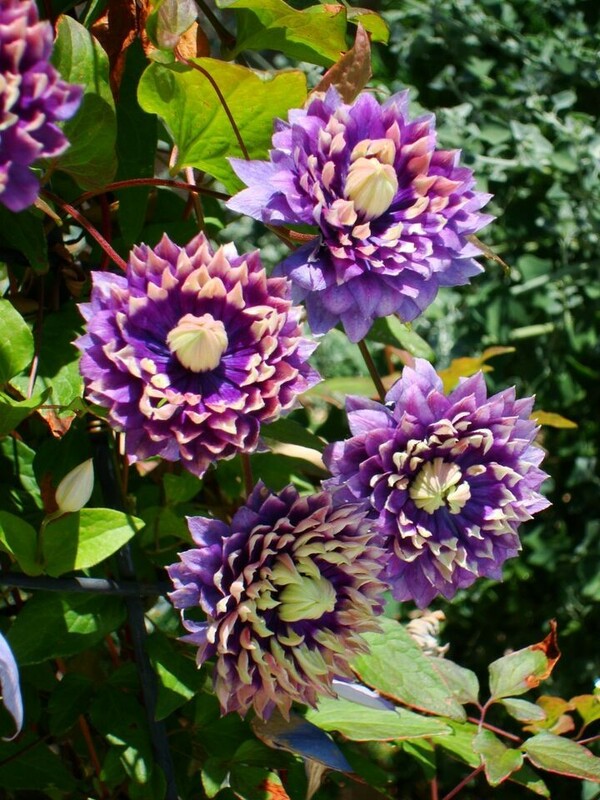 We think it is one of the most stunning flowers you will ever see, plus these unique multi-layered blooms appear over a long period from June to September, turning walls and fences in to floral masterpieces. 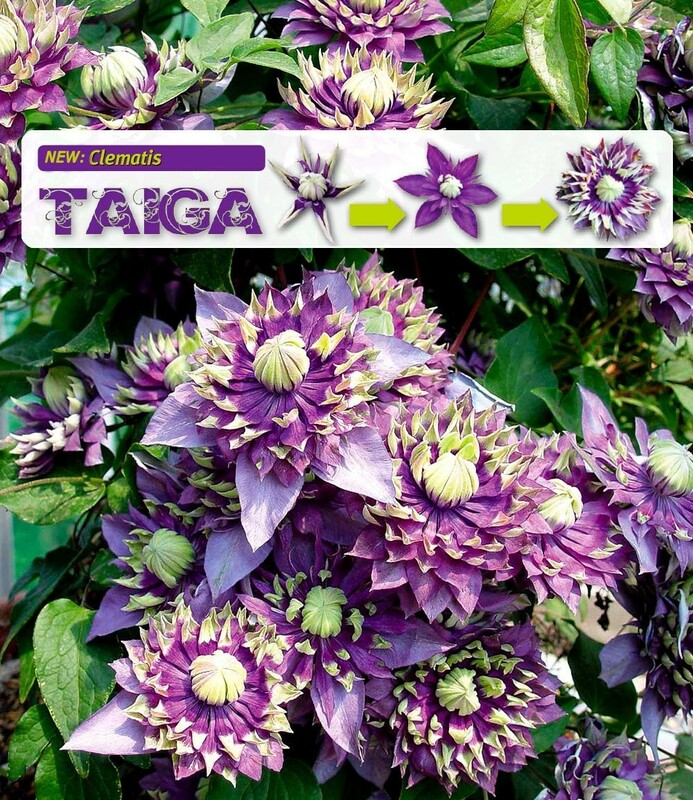 Clematis Taiga is recently introduced New variety, originally on sale exclusively through Gardening Express - we have stocks of this amazing new variety available for immediate delivery, plus they're a decent size, ready to plant straight out in the garden, supplied in 1-2 litre containers. 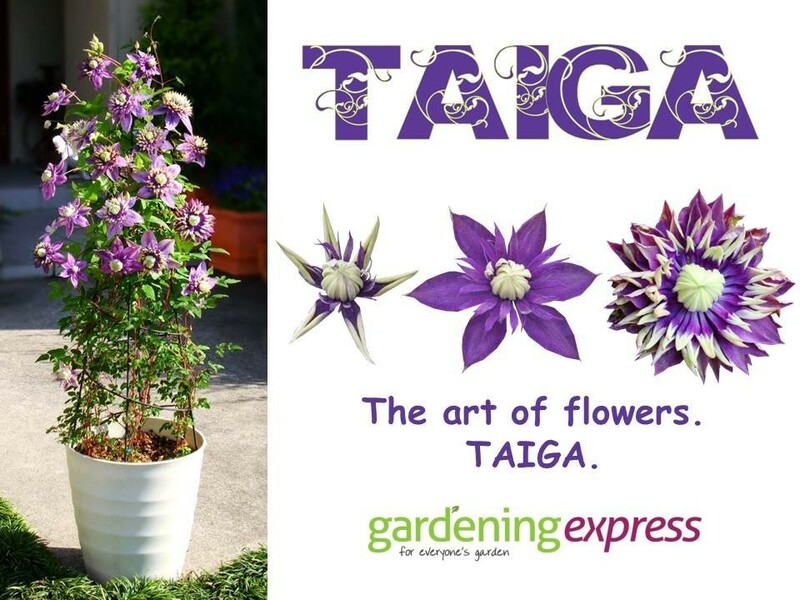 You may have seen another company advertising Taiga, but to our knowledge it is Gardening Express that has the best 2 year old stock available as high quality 1-2 litre pots for immediate dispatch - we secured the exclusive rights from the breeder to launch and supply Taiga in the UK before any one else.